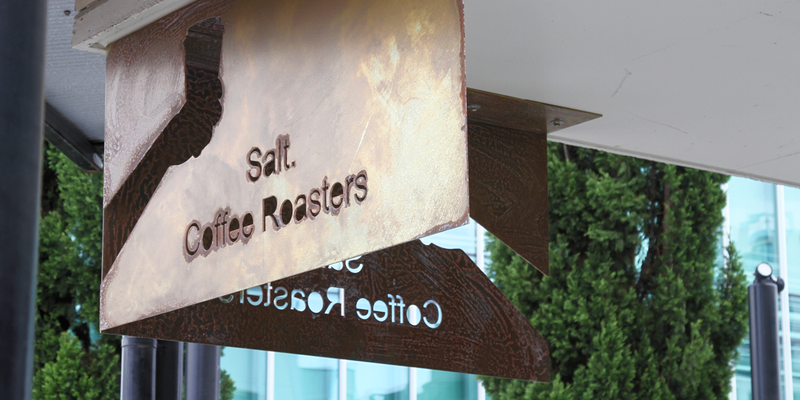 Great news for fans of specialty coffee – Brisbane’s caffeine scene is scoring a striking newcomer in the form of Salt. Coffee Roasters. This eagerly anticipated hideout – part cafe, part boutique roaster – is officially opening today Tuesday February 12, and is looking to deliver a polished product within its eye-catching corner spot. You don’t need to be a die-hard caffeine lover to enjoy this winsome wonder – this spot offers something to anyone that appreciates attention to finer details. Zac Lazarac grew up around coffee. Spending ample time working in his mother’s cafe while he was younger taught him a lot about the ins and outs of the hospitality scene, but it was only after travelling the world (and spending few years working in the caffeine–fuelled finance sector) that Zac saw what was really possible when it came to coffee. 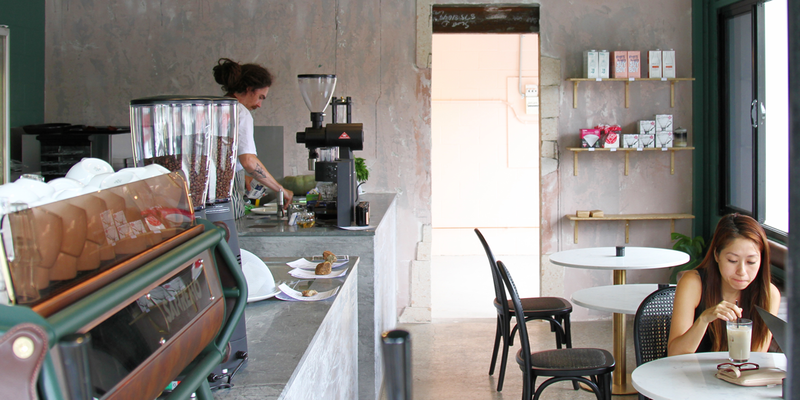 As a firm believer in Brisbane’s potential as a player in the national coffee scene, Zac decided to catch the wave and open a cool hangout of his own that emphasised attention to detail, efficiency, community support and an ever-evolving product. Zac stepped away from stockbroking and decided to invest some time establishing his own roaster – the hard work paying off with today’s opening of Salt. Coffee Roasters. Zac secured the perfect home for Salt. Coffee Roasters in Newstead – the former location of Locale on the corner of Commercial Road and Doggett Street. With the help of a designer pal, Zac actualised his ideal vision for the space – an aesthetic he labels ‘gritty pretty’. After gutting the tenancy, it was subsequently fashioned into a hub that was equal parts polished and edgy – soft touches such as timber and brass are offset by concrete benches and exposed Venetian plaster walls. Salt.’s interior is divided into two distinct sections – the action takes place in the Green Room, the main cafe where Zac has assembled an impressive array of gear to improve efficiency across the board. Salt. boasts an impressive Sanremo Renegade espresso machine imported from Florence, temperature-controlled kettles, built-in coffee scales, Marco SP9 single-serve brewers and a Moobar milk system. Next door in the Pink Room will sit Salt.’s 15-kilogram roaster (arriving in two weeks), which will roast limited batches of beans sourced seasonally – only available at the cafe and in small takeaway bags from Salt.’s retail section. Patrons can spread out across both rooms or out to Salt.’s exterior seating area, which will soon boast a roof to mitigate the sun’s sizzling rays. Salt’s coffee menu encompasses the usual array of espresso-based drinks from flat whites to long blacks, but a manual brew bar has been given over to concocting specialty brews. Filter, pour over and cold-drip coffees are available, but non-coffee drinkers aren’t left in the lurch. Kombucha will soon be available on tap, while a stellar selection of tea from Arakai Estate and The Steepery Tea Co. – we’re talking oolong, green and black teas – is available with free (yes, free) refills. When it comes to Salt.’s tasty tidbits, a menu of light bites has been designed to complement the coffee experience. 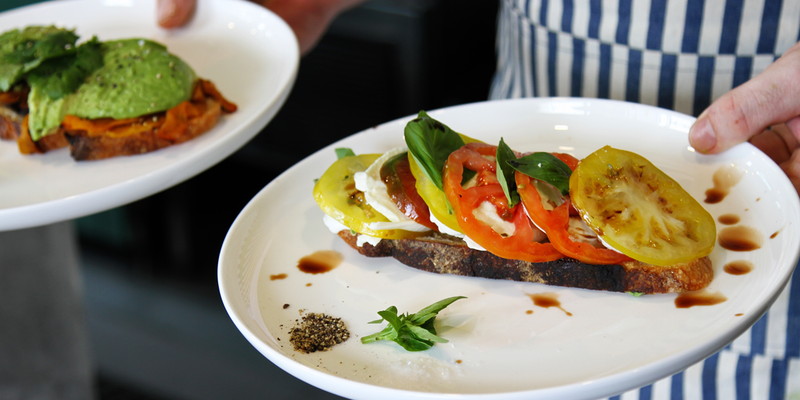 Snack on crumpets and toast with condiments (or house-made espresso and date butter or chai butter), Rueben sandwiches (made with rye from Danny’s Bread), caprese on sourdough, rotating salads from the Whole Box Food Co or a selection of sweet treats. Salt. Coffee Roasters officially opens today, Tuesday February 12. The cafe will be serving free coffee to celebrate, so hit up the Stumble Guide for location details and get in quick before the beans are exhausted.